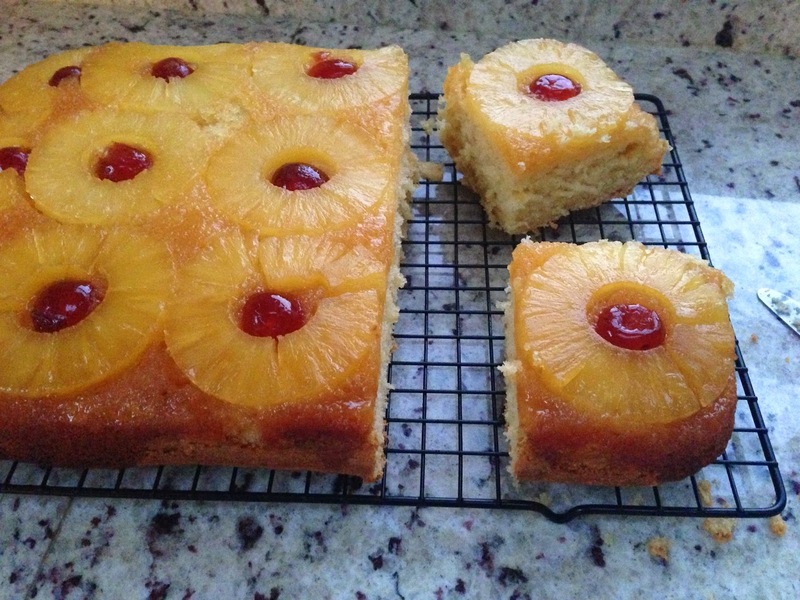 Pineapple Upside Down Cake is my youngest sons favourite pudding, he likes retro cakes & desserts like his dad and grandad ! This cake is traditionally baked in a round tin, but if baked in a square or rectangle tin everyone gets a pineapple ring to themselves. I adapted this recipe from 'Worlds Best Cakes' By Roger Pizey. I usually use demerara sugar at the bottom of my tin, this recipe caught my eye as it uses golden syrup instead. This gave the cherries and pineapple a lovely gloss and an extra flavour of syrup steamed sponge. 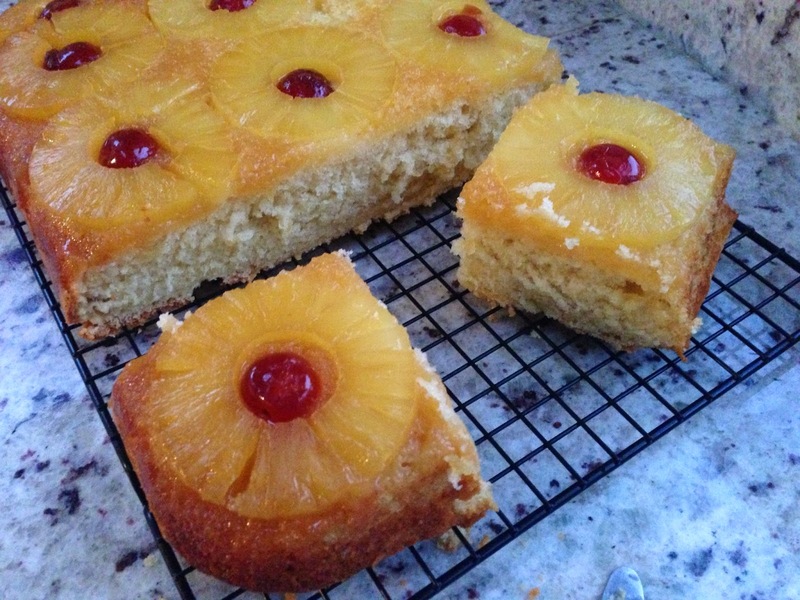 Place the pineapple rings in tin with a glace cherry. Slowly add the flour & baking powder until mixed in. Finally add the warm milk and mix gently to a smooth batter with a soft dropping consistency. Pour the batter over the pineapple rings and smooth over. Bake in the preheated oven for 45 mins or until a cocktail stick inserted into centre comes out clean. Turn out onto a wire cooling tray, cut and share. Oooh heaven! Your son has great taste as it's one of my favourites too! Love the idea of baking it in a square, I'll definitely try that!